In the hours that followed the Jets' announcement last Friday that Adam Gase is their new head coach, many frustrated fans took to social media to voice their displeasure. 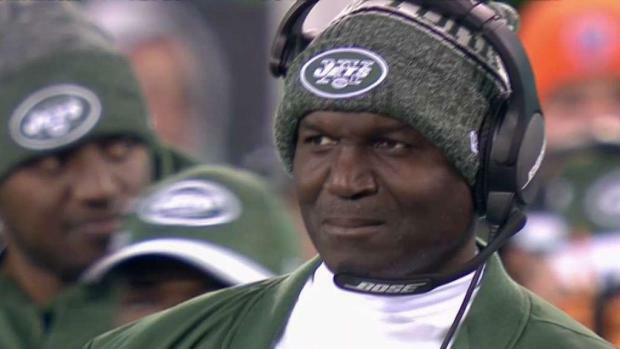 Christopher Johnson and the Jets, however, were thrilled with their decision. And shortly after formally introducing Gase as the coach at the team's facility Monday, Johnson sacked the pointed criticism with overwhelming optimism. The 40-year-old coach was the hot assistant just three years ago around this time, after directing the Denver Broncos' Peyton Manning-led offense to record-setting performances. But a 23-26 record in three seasons with the Dolphins, including a playoff loss, had him out of a job — along with reports of some friction with players. Gase quickly got a second chance, and with a former AFC East opponent. Many of the fans who were uninspired by the firing have pointed to Gase's mediocre record in Miami — without the resume of a Super Bowl-winning coach such as McCarthy. Gase acknowledged that he could go without a quarterbacks coach and rather he and the offensive coordinator will work directly with Darnold and the team's other QBs. Gase is also still mulling his options at defensive coordinator, and wouldn't confirm or deny that Gregg Williams is a leading candidate for the spot. Gase indicated that he would focus mainly on the offense and leave the defense primarily to whomever he hires. And, Jets fans are just searching for wins, regardless. Even those who might not yet be on board with Gase leading the way.